This course will familiarize students with the technical details at the foundation of digital security. Digital security has become a pervasive issue reaching deep into national defense, civil infrastructure, and everyone’s daily lives through an increasing dependence on information technology that can threaten personal privacy. Policy debates abound and guidance is sorely needed as many digital security issues have arisen rapidly and are intimately tied to technical aspects that are not necessarily intuitive or well-known. Often, the appropriate policy decision hinges on technical details. Although reaching an appropriate policy decision on digital security doesn’t require being a computer programmer or engineer, they do require a degree of technical literacy that is best be obtained by hands-on learning. This course aims to introduce those skills and knowledge. The attribution of a malicious cyber incident consists of identifying the responsible party behind the activity. Professors Jair Aguirre, Ben Boudreaux, and John Davis recommend creating an independent, international cyber attribution consortium tasked with investigating and publicly attributing major cyber attacks. 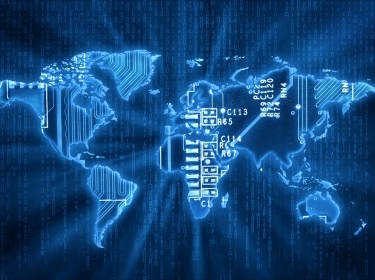 Data breaches and cyberattacks cross geopolitical boundaries, targeting individuals, corporations and governments. Professors John Davis, Ben Boudreaux, and Jair Aguirre argue that creating a global body with a narrow focus on investigating and assigning responsibility for cyberattacks could be the first step to creating a digital world with accountability.